It’s Super Bowl LI and my team’s in it. Today the Patriots are trying for their 5th Super Bowl win. I was raised to love football, the Pats, and Super Bowl Sunday. Pats vs. Falcons, let’s do this. I know a lot of people hate the Patriots and think we’re big cheaters, that’s fine. Hate us all you want, we thrive on it. 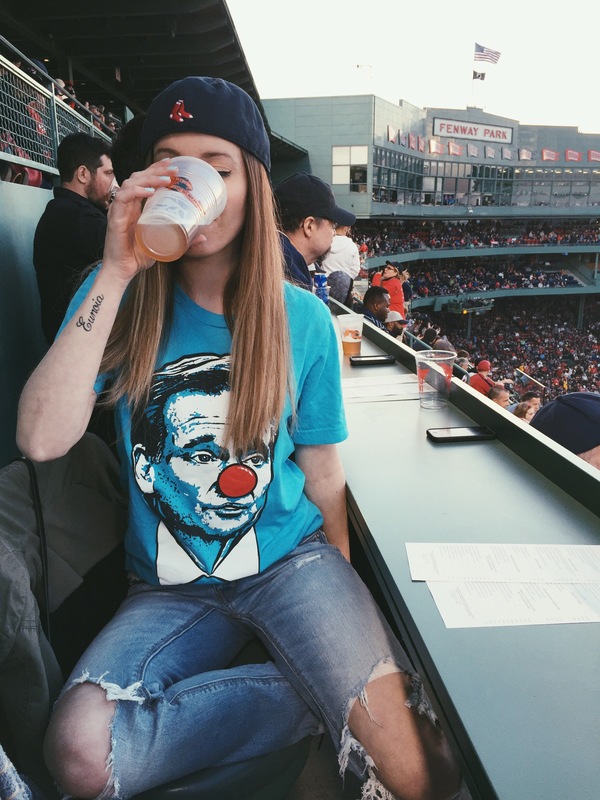 In the picture above, I’m wearing a shirt from Barstool Sports featuring Roger Goodell with a clown nose. I love this shirt cuz Goodell is, without a doubt, a total clown. No matter the outcome today, Goodell is an idiot who shouldn’t have a job. I think it’s fair to say that if you’re a Pats fan, you probably aren’t too fond of Goodell. Our QB was out for a fourth of the games this season and we’re still in the Super Bowl. I don’t care who you are, or who you’re rooting for, that’s damn impressive. Both teams have something to prove, but only one team is out for revenge. We’ve already made Goodell look like a clown by getting to the Super Bowl despite the absurdity of deflategate, we just need one more game. Free Brady. Fire Goodell. GO PATS! p.s. the pic above got me onto a Viva la Stool post on Barstool & it made my life. Hi! I’ve nominated you for The Versatile Blogger Award, which will run tomorrow morning on my blog 🙂 Check it out ciarralorren.com! I know nothing about American football, but hope your team wins!